Kodak Hearing Aid Batteries are manufactured using only high-grade and refined raw materials. With premium performance and durability and environmental protection these batteries provide you with the excellent products you expect from Kodak brand. 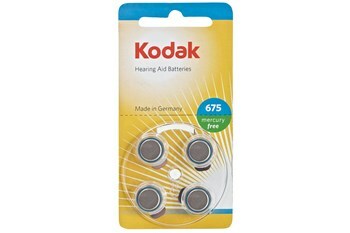 For more information about, Kodak Hearing Aid Batteries Size P375 Blue - 4 Pack website.